There are many Jews who don’t keep anything Jewish, yet the rabbis demand full observance to convert to Judaism. Is that fair? You have a very good point. Religion, after all, is all about belief. If you believe, you’re in; if not, you’re out. 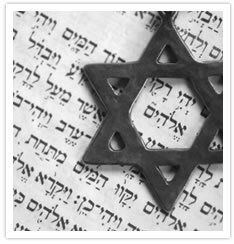 So why can’t anyone who believes in the Jewish religion be considered Jewish—even without the conversion? And why are those who don’t believe and don’t keep any of the Jewish practices still considered Jews? That’s what happens when you view the Jewish people through another people’s lexicon—it all looks very puzzling. What, though, if we look at ourselves through our own language, through the original Hebrew? We’ll start with this word religion. Is Judaism a religion? Is that the right word? Religions generally start when one teacher spreads his teachings to many disciples. The people who accept these teachings are considered coreligionists. Their common beliefs hold them together as a community. Moses didn’t preach a religion to individuals. He was more of a populist—a civil-rights leader who stood for empowerment of the people. He took his own people, who already had a common heritage, along with many who had decided to join that people, and brought them to Mount Sinai. There he brokered a covenant between a nation and G‑d. G‑d said, “I choose this nation to be my messengers of Torah light to the world.” The nation, in turn, chose G‑d, saying, “Whatever G‑d says, we will do and we will obey.” At that point, through that covenant, all the people effectively became converts. The Jewish people, then, are best described as the “People of the Covenant”—meaning that they are a people because of a covenant. What is special about this covenant is that it is not a covenant between two individuals, or even between an individual and G‑d (as Abraham had made), but a covenant between an entire nation and G‑d. So let’s replace religion with covenant and see what happens. In a religion, you belong because you believe. In Judaism, you believe because you belong. The covenant, as I wrote, is what defines us as a nation—not geographic vicinity, language, government or culture. Even if we live in different countries, speak different languages, establish different leaders and eat different foods, that covenant still bonds us. Most significantly: even if we stop keeping our obligations under that covenant or decide not to believe in it, the covenant endures. A covenant, you see, is a two-way deal. It takes two to make it and two to break it. Just because the people have let go, doesn’t mean G‑d has. That’s why it’s called an “eternal covenant”—because even if the people may be fickle, G‑d doesn’t change His mind. So there’s the difference: In a religion, you belong because you believe. In a brit (in this case, Judaism), you believe because you belong. Believing is part of the covenant. So are all the other mitzvot—obligations—of the covenant. It doesn’t matter whether you believe in that covenant or those obligations, or believe that G‑d obligated you, or believe in G‑d at all. You can’t fight with history. You are part of this people by virtue of having been born into it, and that’s who this people are and what this people do. A deal is a deal. Let’s look at another word—conversion—and things will become even clearer. Let’s say you weren’t born into the Jewish people. Let’s say you decide you want to enter into the same covenant as every other Jew—to convert. If this were a religion, no problem—you would just accept upon yourself whatever beliefs and rites are expected of you, and you’re in. That’s what people generally mean when they talk about conversion. But this is a covenant. To enter into G‑d’s covenant with the Jewish people, believing and doing is not enough. You need to become part of that people. How do you do that? In this way, becoming Jewish is very much like becoming an American, a Moldavian or a Zimbabwean citizen. You can’t come to a country and declare yourself a member. It’s a two-way street: aside from you choosing your country, the government of that country has to decide to accept you. Similarly, if you choose Judaism, you also need Judaism to choose you. Like we said, a covenant is a two-way deal. That’s one difference between this citizenship and citizenship of a modern country: You could always renounce your citizenship of a country. A Jew, however, is a member of an eternal covenant. Once in, there’s no way out. The rituals of that adoption are the same as what the Jewish people went through at Sinai: circumcision for males, immersion in a mikvah (ritual bath), and acceptance of all Torah obligations. The crucial element, however, is that all of these are to be supervised by a tribunal of learned, observant Jews—representing none other than G‑d Himself. Their job is not only to witness that the ger was properly circumcised and fully immersed in the mikvah, but also to ensure that the ger is duly cognizant of the obligations of the covenant into which he or she is entering. That’s another distinction between obtaining citizenship of a modern nation and joining the Jewish People: citizenship is mostly associated with the attainment of rights and privileges, while Jewish citizenship (gerut) is principally concerned with the responsibilities that come along with those privileges. If the ger-wannabe learns of these obligations and feels they are more than he or she bargained for, so be it. You don’t have to be Jewish to be a good person and to be loved by G‑d. Believe in one G‑d and keep His laws—the seven laws of Noah. Judaism—as opposed to Jewishness—is not just for Jews. But if the ger does accept, then he or she is reborn as an eternal Jew, the same as any one of us who was born into the covenant. The soul of the ger, our sages taught, stood at Mount Sinai. In at least one way, the ger is yet greater, for the ger is the lost child who has found his way home. I Just Discovered I'm Jewish! Ger. In the past, it has been for a very special contribution to the Jewish nation. I think I'm right that a Queen named Helen was accepted for her contribution. I'm disabled, so that makes it difficult to fully convert. Someone asked me today, where do I stand, as I'm no longer a Christian and fully not a Jew. But as I live as a Jew, that was to be part of my conversion, how can I undue what I have done? I can't, that's the answer. "You know what? I always wanted to be a part of this great people. But perhaps you're right. Maybe I'm just not good enough." Bang! With those words, the Talmud continues, Juan is accepted as a righteous ger — one of us. I have always been proud of my heritage and even as a child being raised orthodox can still not understand how any Christian can be anti-Semitic and then pray to a Jew. If someone desires to be known as a Jew, please do whatever you need to do to attain your goal. Nothing anyone else says is of more importance in your life than what your heart is telling you. Even in today's day and environment, there is hate spewed from high places - and the 'brown shirts' follow their fuhrer - who then blames everyone else. This is such a long and ongoing discussion. It is excellent that we can speak our mind. So that is what I am doing. Personally I am extremely happy that unlike other religions such as Protestantism, Catholicism etc. - one cannot just become a jew. These are religions that all originated from Judaism and made their own rules therein. So it is nothing but correct that before becoming a Jew one has to "erase" all imprinted information from the pevious religion and reimprint these according to the Jewish faith. That is what a giur is meant for. What does it mean to non-jews "to live as a Jew". That is what I really would like to know. Besides I have seen evidence of Jews who are genuine jews but lived as protestants most of their life..........well I have a big problem with their points of view. As my Disability has changed my life, during, the last two years things have become more difficult. I'm just getting over dental surgery. What ever life gives me. I've just thanked HaShem, for the gift of life. I've stopped protesting, and now I'm accepting. There are some things we can't change, we have to accept who and what we are. It's not just conversion, it's living everyday by the laws. I once thought so intensely about converting, and almost forgot why. It does not matter how much of your DNA is Jewish. It could be .001% but if it comes through your mother's mother's mother's mother all the way back, that makes you 100% Jewish. Try taking the classes. You will soon realize whether you do or do not want this life-changing experience. This past Shabbos we welcomed two new converts to our Bible class. If it is your home, you will know. If your home is elsewhere, that is fine too. It would be a good idea if there was a way found for a disabled accessible service. There has to be somewhere accessible that other disabled and less able people could come too. I now attend a Reform Synagogue when I'm able. It's just not possible, unless I'm young enough to have children or can move to an Orthodox area. Not possible, with cost and health issues. No, moving to France is not the answer. Until I found mobility a real problem, I would travel closer to London to attend a Shul. I don't think European countries allow freedom, to do as they wish for those who wish. Life is not easy in Europe, my only comment. Things are changing. Nothing is easy, life throws up a challenge, and so does being a Jew. I rest, and stay where I am, believing in, there is a reason for everything. Thank you for your response. Have To Be a Jew, and will read again as suggested. Gerus Guide is not part of my library. Also, I have been taking Hebrew off and on since 2011 ish, as have a couple of my kids. Moving ahead in the quest . Thank you. So when you say "read Hebrew" you mean to learn the Hebrew alphabet and the vowel marks. For you, "read" means "look at the words and pronounce them without any idea what they say." You realize that to anyone else, "read" means to look at the words and have some idea what they say. That's what it means when an English-speaker learns to read English. But to you, "read" means "pronounce" regardless of understanding or meaning. It means knowing the alphabet and not needing to understand anything that is "read."